During this trek you will see spectacular mountain scenery, remote and dramatic monasteries and pristine Himalayan Culture. You might encounter Musk Deers, herds of Blue Sheep and the Himalayan Black Bear. Last but not the least, a dip in the Dur Hot spring will surely be rewarding. Day 01 – Arrive Paro. Transfer to Kichu Resort. O/n Kichu Resort. Day 02 – Paro sightseeing. O/n Kichu Resort. Day 03 – Drive 2 hrs. to Thimphu. O/n. Day 04 – Thimphu sightseeing & drive 4 hrs. to Wangdiphodrang via Punakha. O/n Wangdi Resort. Day 05 – Drive 6 hrs. to Bumthang. O/n. 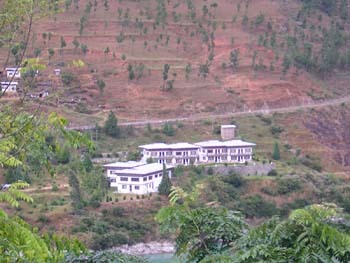 Wangdi Resort. Day 06 – Trek starts. Bumthang – Gorsum. 18 kms. 6/7 hrs. Camp alt. Camp alt. 3100m. Day 07 – Gorsum – Lungsum. 13 kms. 4/5 hrs. Camp alt. 3200m. Day 08 – Lungsum – Tsochenchen. 15 kms. 5/6 hrs. Day 09 – Tsochenchen – Dur Tsachu. 17 kms. 6/7 hrs. Day 10 – Dur Tsachu halt. Day 11 – Return to Tsochenchen. Day 12 – Tsochenchen Gorsum. Start early. Day 13 – Gorsum – Bumthang. (trek ends.). Transfer to Karma Tobden Guest House. Day 14 – Drive to Wangdiphodrang. O/n Wangdi Resort. Day 15 – Drive 5 hrs. to Paro. O/n Kichu Resort. Day 16 – Early morning drive to airport for departure.